In a similar vein, Roz Kaveney’s Rhapsody of Blood series continued with volume 4: Realities. It probably won’t make a lot of sense if you haven’t been with the series from the start, and I’m not sure it can ever match the revelation of Josette’s identity, but it remains fun. Roz’s guest appearances are almost all real people from history, and this volume has a small role for a young and rather lovable HG Wells. Another sequel I was very much looking forward to this year was The Phoenix Empress by K Arsenault Rivera. The Tiger’s Daughter told the story of Shefali and Shizuka’s childhood, and what happened to Shefali after she was exiled by the Emperor. The new book tells what Shizuka got up to in the meantime, and how she came to seize the throne from her wicked uncle. Rivera is determined to torture her heroines in a manner that would earn a nod of approval from Dorothy Dunnett, but there are plenty of happy-cry moments too. I gather that people with more knowledge about Chinese, Japanese and Mongolian history than I do have serious reservations about how their cultures were portrayed in the first book. I’ll be interested to see what they make of the second. Talking of Asia, there has been a profusion of interesting books with Asian themes by Asian writers in the past year. Aliette de Bodard continues to establish herself as one of the leading writers in the field with The Tea Master & The Detective and In the Vanishers’ Palace. JY Yang’s Tensorate series continues to make space for non-binary genders in fantasy with The Descent of Monsters. RF Kuang’s The Poppy War has a very different take on Chinese history to Rivera’s. Tasha Shuri brings her extensive knowledge of Mughal history to Empire of Sand. And moving west to Africa, but still in the Muslim world, we have Somaiya Daud’s Morrocan-inspired space fantasy, Mirage. I’m delighted to see all of these other cultures get their turn in the spotlight, and being written about by people who have direct experience of them. 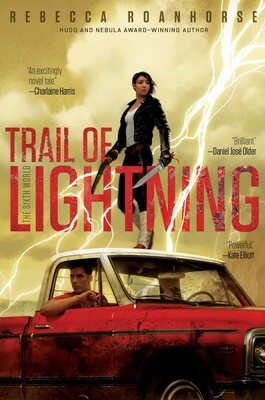 Still with underrepresented cultures, another favourite of mine from this year has been Trail of Lightning by Rebecca Roanhorse. She was a major surprise winner at the Hugos last year, and this novel shows that was no accident. This is a post-apocalyptic novel set in the Navajo lands in North America, one of the few parts of the continent to have escaped rising sea levels. I understand that there has been some discussion of Roanhorse’s right to tell these stories. This is a discussion I’m familiar with from my time in Australia where the Aboriginal people are very keen to avoid their traditional stories being mined for profit by outsiders. Hopefully some resolution is possible because Roanhorse, like Rivera, is a very good writer. Probably the strangest book I have read in the past year is Armed in Her Fashion by Canadian writer, Kate Heartfield. It is set in mediaeval France and Belgium. A Hellmouth has recently opened up in France and the Queen of Hell has put her troops at the disposal of the French King in return for land in the world of the living. Satan, apparently, is languishing in a dungeon, having been usurped by his wife. King Philippe sends his new allies to conquer Flanders, where our heroine, Margriet, lives with her useless husband in the fortified city of Bruges. I can’t remember ever having read a fantasy novel where the main character is a middle-aged wet nurse and a major plot point turns on a church court being asked to rule whether zombies have souls. The story feels like it should be illustrated by Hieronymus Bosch. There should be more wonderfully bizarre books like this. Time now for some science fiction. Emma Newman has made mental illness something of a theme for her Planetfall novels. 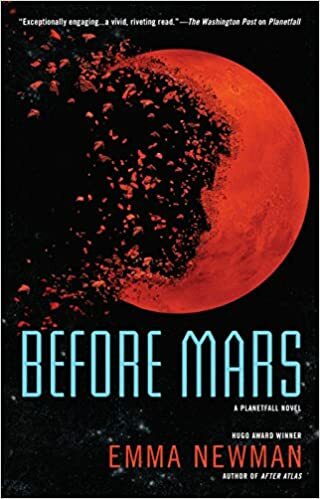 In Before Mars there is a strong sense of paranoia as the main character, Anna, struggles to work out what of her experiences are real. Arriving on Mars, she finds a note in her own handwriting, warning her not to trust the colony psychiatrist. Has she been here before? Is she even on Mars, or still in one of the VR sims that were used to keep her mind busy on the long voyage form Earth? The timeline of the book parallels the events of After Atlas, but like the other books in the series it can be read as a standalone. I have been following Martha Wells’s career ever since The Death of the Necromancer. Her Raksura are one of my favourite alien species. And I was absolutely delighted when All Systems Red ran away with a Hugo last year. Murderbot is a fascinating character: part machine but all too human and with a unique voice. 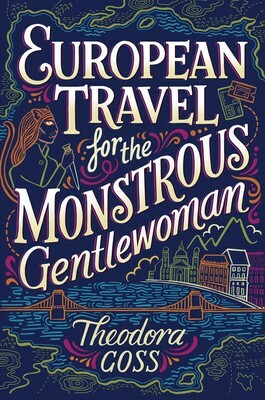 This year saw the publication of three more novellas in the series, eventually wrapping up the storyline begun in the first book. I understand that there is a Murderbot novel on the way and I’m very much looking forward to it. If ever there was an example to show that you can write great fiction in the first person, the Murderbot Diaries are it. They simply wouldn’t work if we were not seeing the world from Murderbot’s point of view. 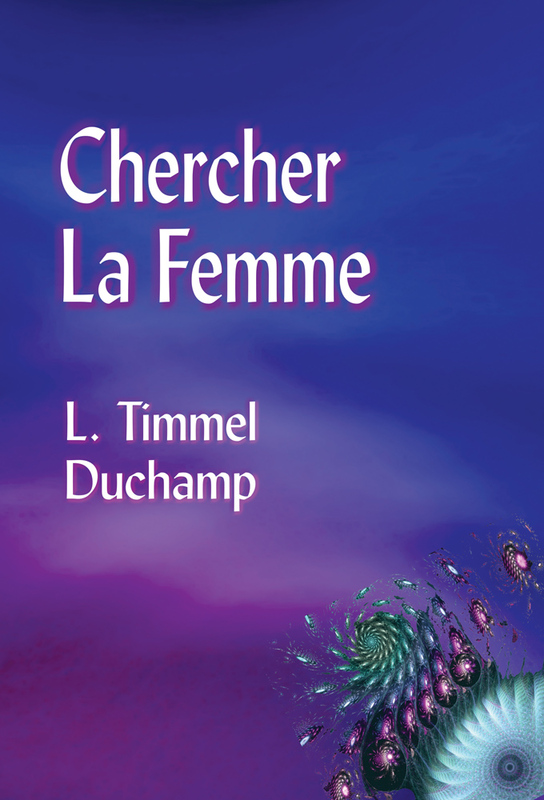 A more traditional piece of feminist science fiction is Chercher La Femme from Aqueduct Press’s L Timmel Duchamp. Our heroine, Julia, is in command of a mission to an alien planet to find out why the previous crew sent there has apparently gone native. At the start of the book she wakes from cryo-sleep to find that there was an attempted mutiny during the voyage and one of the crew is dead. The unravelling of the mysteries of the voyage is intercut with glimpses of Julia’s past life on Earth where we learn about the utopian society, The Pax, from which she comes. This critique of social engineering, and the first contact story of two races who totally fail to understand each other, make for a very interesting novel. I do read books by men as well. Indeed, one of them, Blackfish City by Sam J Miller, will be on my Hugo ballot. Like Trail of Lightning, it is set in a post-climate-catastrophe world. This time the survivors are living on a floating city in the Arctic Ocean. There is political tension between the wealthy but secretive autocrats who founded the city, and the crime lords who now control much of the population. Things come to a head when an old woman arrives in the city, riding on the back of an apparently tame orca. 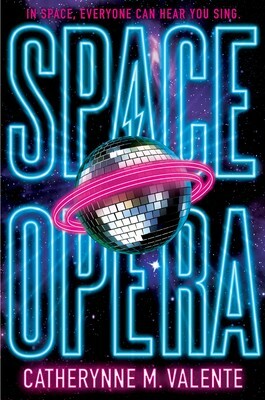 This is an astute, political book that nevertheless delivers a powerful science fiction punch. 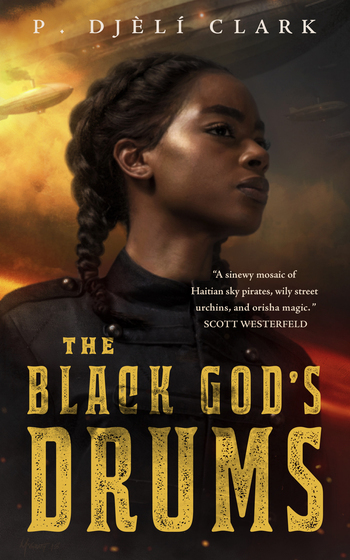 Another book by a man with a great female lead is The Black God’s Drums, a novella from P. Djèlí Clark. I first discovered this one when Kate Elliot was enthusing on Twitter about how good the opening paragraph was. That got me sat up and taking notice straight away. And she’s right; this guy can write. We’ll be hearing a lot more from him in the future. Oh, and it has airship pirates in New Orleans, which is pretty much perfect Cheryl bait. As usual, there are far more good books published in the year than I have managed to read. I am still looking forward to reading Spinning Silver by Naomi Novik, and Tess of the Road by Rachel Hartman. But I want to end with two non-fiction books that will be very much of interest to readers of feminist SF. Gods and Robots, by Adrienne Mayor, looks at the early history of mechanical beings. Greek myth is replete with examples of artificial humans, many of them created by the wily Hephaestus. Other cultures have examples too. Statues are forever coming to life, sometimes inspired by the lust that humans have for their seemingly perfect bodies. And of course, by the time we reach the late Roman period in Alexandria, there are actual automata being made. There is plenty here to inspire writers of fiction. 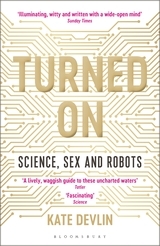 Far more up to date, but covering some of the same ground, is Turned On, a survey of the current state of the art of making sexbots, by Kate Devlin. New advances in this field seem to be announced in drippingly salacious terms by eager tabloids on a daily basis. And frankly, once they come up with an artificial man that can do the dishes and clean the bathroom, the manufacturers will have it made. Inevitably, however, there are legal and moral minefields lying in wait for the unwary entrepreneur. Anyone who has read Madeline Ashby’s Machine Dynasty novels, or watched Westworld, knows just how bad things could get. Devlin’s book should be required reading for every budding robotics billionaire. Cheryl Morgan is a critic, editor, publisher and author. She has won four Hugo Awards and owns Wizard’s Tower Press. Follow her on Twitter as @cherylmorgan.